When it comes to EMT salary in Iowa, it’s important to always be aware of the actual income numbers. That’s because while tons of young people attend school to learn how to help patients, the fact of the matter is that a job in EMS needs to be able to pay the bills and put food on the table, too. How much an EMT makes in Iowa based is based on a variety of factors, such as region and the number of hours one works. 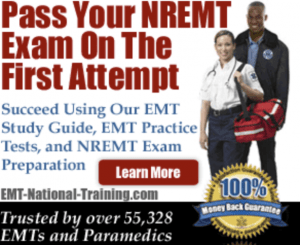 EMT salary can also fluctuate based on whether the job is on the ground (ambulance or fire truck) in the air (a flight medic), or located in a remote area (a wilderness EMT). Despite the variances, the Bureau of Labor Statistics of the U.S. Department of Labor (BLS), which is the principal Federal agency in charge of calculating labor market activity, working conditions, and price changes in the economy, has not only determined the wages earned by EMTs in Iowa, but also employment levels locally and nationally. Let’s now take a look at what the salaries look like for EMTs compared to paramedics and flight paramedics in a variety of cities within the state. These numbers come from Salary.com. In Des Moines, EMTs make $29,348 every year. Paramedics make an average of $37,204 per year. And flight medics make $39,806 annually. In Cedar Rapids, EMTs earn $27,501 annually. Paramedics earn $34,862. And flight paramedics make $37,300 in yearly income. In Davenport, EMTs make $27,055. Paramedic salary is $34,298 annually. And a flight paramedic salary makes $36,696 every year. In Iowa City, an EMT makes $26,143 in salary. Paramedic salary equals about $34,862, while a flight paramedic salary is $37,300. In Waterloo, EMTs make $29,004 per year. Paramedics earn $33,141 each year. And a flight paramedic pulls in $35,458 annually. Remember, too, that becoming an EMT doesn’t mean the end of your goals or ambitions in EMS. Many students use their EMT training in Iowa as a stepping-stone to become paramedics, EMT instructors, field training officers and more.